Ingredients: Pistachios (65%), sunflower oil, salt. Description: Only simple and genuine ingredients make unique and tasty this homemade pesto, from Sicilian tradition. 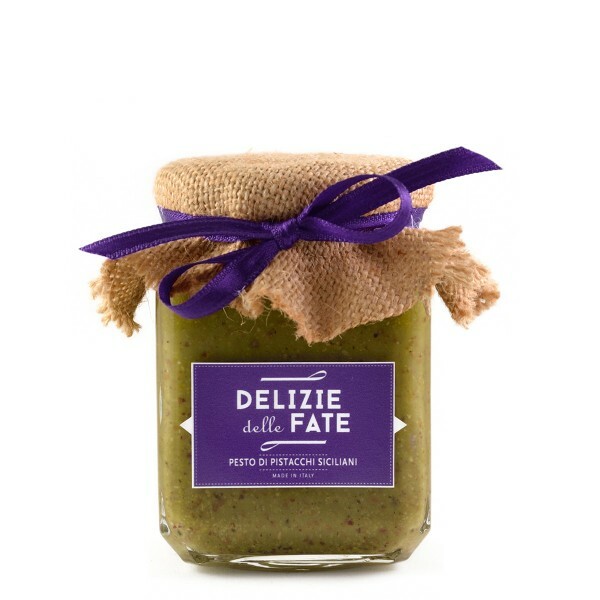 It is an excellent condiment for pasta dishes, for tasty bruschetta, or combined with second courses.